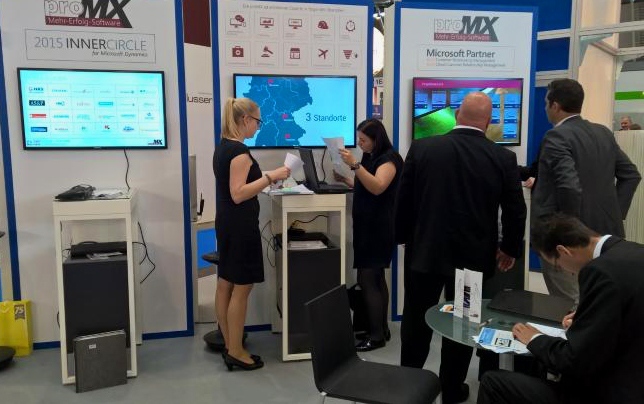 The IT & Business trade fair took place from September 29th to October 1st in Messe Stuttgart, and for the first time was conducted in a new format. This year, three formerly independent events, IT & Business, DMS EXPO and CRM-expo, merged into a single trade fair for business software. 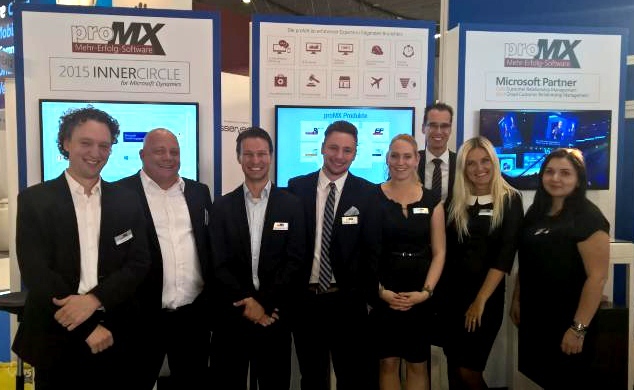 Separately and together, technical and marketing and sales departments of proMX GmbH were preparing for one of the largest trade fairs for ERP and CRM solutions. We were excited to present all our results in the areas of product development and customer acquisition to our colleagues and prospective clients. Over three days, 315 exhibitors not only from Germany, but from across Europe and the United States, were presenting their products to visitors and talking about the approaches they use for successful customer project implementation. In addition to presentations of solutions at trade booths by different software and consulting companies, the CRM presentations were given at the same time. This format helped visitors choose the suitable solution for their specific industry. Another important part of the trade fair was the CRM presentations, which were followed with particular attention by numerous visitors. 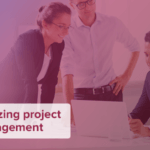 In their joint report, Peter Linke, CEO of proMX GmbH, and Christoph Rothe, CRM consultant at proMX, discussed practical experience with successful project realization for service companies, using the successful story of our customer, Staufen.AG. 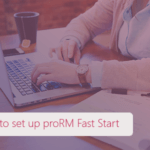 The second report by proMX-Team about a possible connection of on-premises ERP solutions to the cloud in the field of discrete manufacturing was held by Christian Otto, COO at proMX. 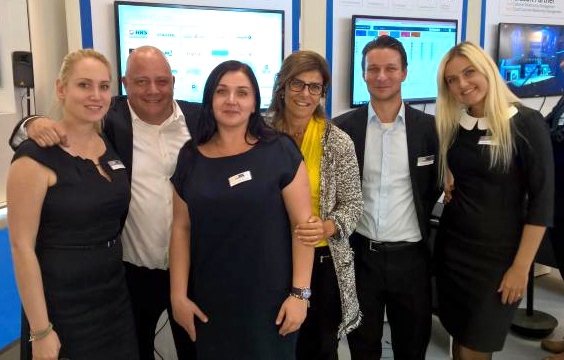 It was a great pleasure for the entire team to meet our Portuguese friends, Bizdirect, at the Stuttgart IT & Business. We took advantage of this opportunity to distract ourselves a little bit from the high-speed trade fair and discuss future common projects for effective partnership with Rita Cordovil, Marketing Manager at Bizdirect.